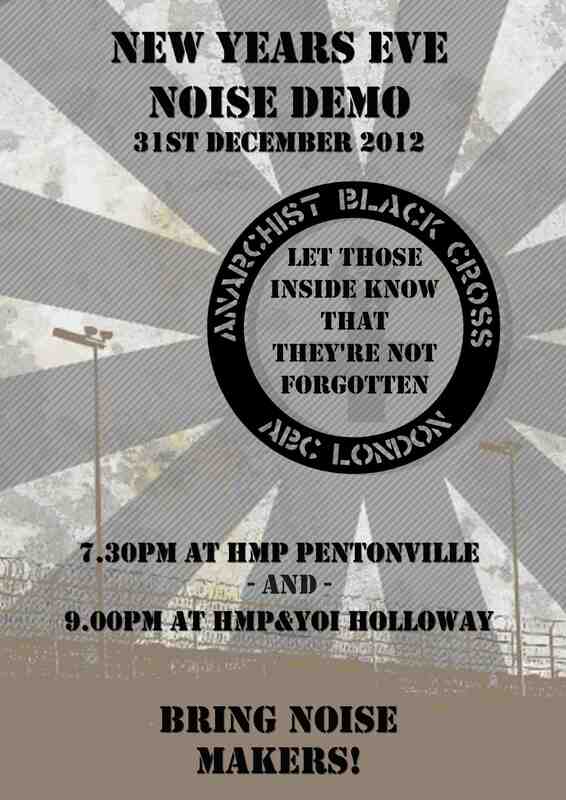 ← Seasonal solidarity – London ABC letter writing and christmas card afternoon. This entry was posted in Demonstrations and tagged 2012, hmp holloway, hmp pentonville, new years eve, noise demo. Bookmark the permalink.